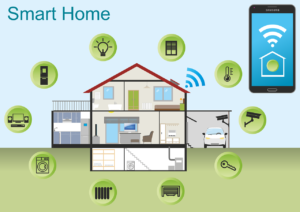 The concept of a smart home has been around for some time growing from a concept stage to a tangible offering. According to GfK, in the first half of 2018 more than 16 million smart home devices were sold in Germany, Great Britain and France alone. The sales revenue in these three markets amounted to €5.4 billion, which is an increase of 11% compared to the same period in 2017. “In the past – GfK explains – smart was offered as an overarching promise to turn everything in people’s homes smart. While the ‘smart’ promise in general resonated well with consumers in principle, currently all indicates that well-crafted individual smart solutions are the way to commercialize it. Arguably, these individual solutions start from understanding consumers’ needs such as a desire for security while at home as well as when away, the wish for entertainment and having fun, being environmentally friendly and being able to monitor energy savings, and having these reflected in smart home solutions.GfK research shows tangible growth across many smart product categories, for example LED lamps, visual cameras with smart connectivity, smart major and small domestic appliances, vacuum cleaner robots and other devices. In the case of the Home Automation & Security product category, for example, GfK research indicates a 39% sales units growth and 17% sales value growth in the first half of 2018 in Western European countries”. In the period between January and June 2018, sales of smart devices in Italy grew by 5% in unit and 9% in value. The trend is even more positive (+25% in value) if the Smart TVs, which are by far the most sold connected product at the moment, are excluded from the calculation. Considering the different categories, the performances of the connected Major Domestic Appliances (+39% in value) and the Home Automation & Security products (+27%) are particularly positive. The turnover of connected devices in the Small Appliances (+8%) and Home Entertainment (+5%) segments also increased. Among the smart products that were more successful in the first months of 2018 there are the washing machines, the Audio Home System, the LED light bulbs and the air conditioning systems (thermostats and air conditioning).